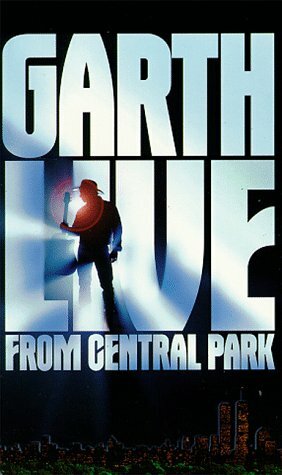 Garth Live in Central Park was a free concert in New York CIty's Central Park on August 7, 1997. Many fans started calling the event "Garthstock", which was attended by 980,000 fans, and was the largest concert ever in Central Park. Tracks: "Rodeo," "Papa Loved Mama," "Two of a Kind, Workin' on a Full House," "The River," "Callin' Baton Rouge," "Shameless," "Ain't Goin' Down ('til The Sun Comes Up)" - with guest Billy Joel, "New York State of Mind" - with guest Billy Joel, "The Fever," "Friends in Low Places, " "The Dance," "American Pie" - with guest Don McLean, "Much Too Young (To Feel This Damned Old)," "If Tomorrow Never Comes," "You May Be Right" - with guest Billy Joel, "Unanswered Prayers" - in Special Features, "We Shall Be Free" - In Special Features. If you have any questions about this product by Metro-Goldwyn-Mayer, contact us by completing and submitting the form below. If you are looking for a specif part number, please include it with your message.